Other Conditions: To begin August 1, 2019, for best consideration, all application materials should be received by January 15, 2019. Develop a series of innovative courses for undergraduate and graduate students in applied statistics and system modeling. Teach core courses NREM 203 and 310 and/or co-teach other NREM courses such as NREM 429 (Spreadsheet Modeling for Business and Economic Analysis). 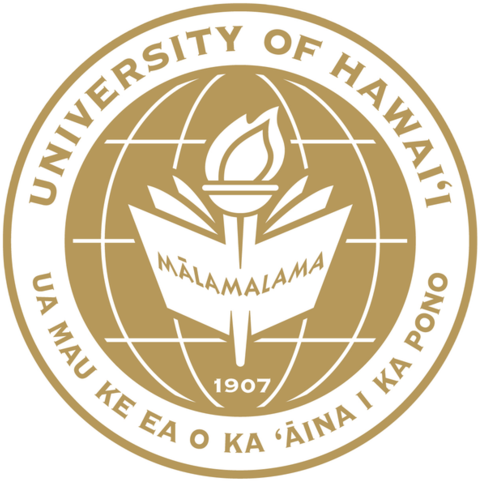 Develop a globally-recognized research program that leverages cutting edge statistical and system modeling approaches to address urgent problems in resource and environmental management, with a focus on the food and natural resource sustainability and resiliency of Hawaii and the Pacific Island region. Research applications might include food security, forestry, food systems, energy systems, and/or coastal resources. Provide service to the college, university, and community. Doctorate from a college or university of recognized standing in applied economics and quantitative modeling, such as agricultural economics, resource economics, economic development. ABD candidates may be considered, all degree requirements must be completed at the time of hire. Demonstrated ability as a teacher. Strong skills in quantitative reasoning and statistical/modeling programming, demonstrated by a record of relevant research and teaching. Record of peer-reviewed publications and presentations consistent with the candidate's career stage. Demonstrated ability to secure competitive funding. Strong interest in agriculture, natural resource and environmental management issues in Hawaii and the Pacific Region. Record of successful grant preparation and administration. Postdoctoral research experience and experience with interdisciplinary collaboration. Ability to instruct students via distance-learning methods. Experience working in Hawaii and the Pacific and in tropical island systems. Demonstrated success in mentoring students at graduate and undergraduate levels, as demonstrated by student publications and placement in post-graduation positions. Submit the following to the address listed below: 1) Cover letter indicating how you satisfy the minimum and desirable qualifications, 2) curriculum vitae, 3 ) names and contact information for at least three professional references and 4) official transcripts (copies accepted, however official transcripts will be required upon hire).